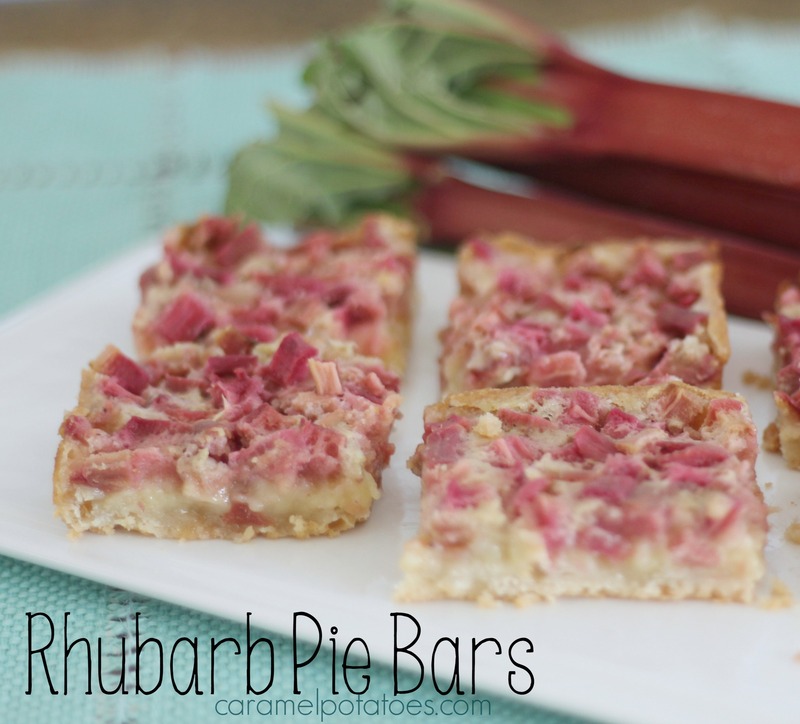 It seems we can never get enough rhubarb recipes in our family – we are always looking for another fun idea to try. 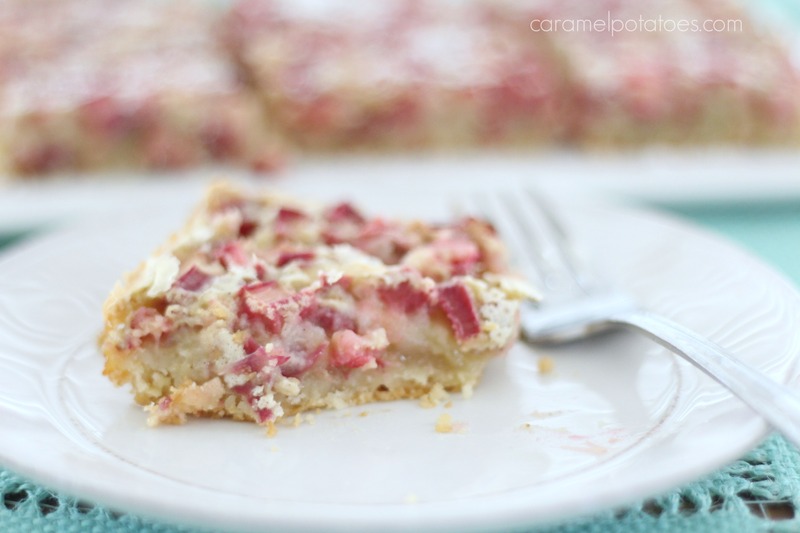 Some other great favorites include Strawberry Rhubarb Sauce, Rhubarb Crumb Cake, Strawberry Rhubarb Crumble, Sparkling Rhubarb Lemonade, and this fabulous Rhubarb Cheesecake Pie. 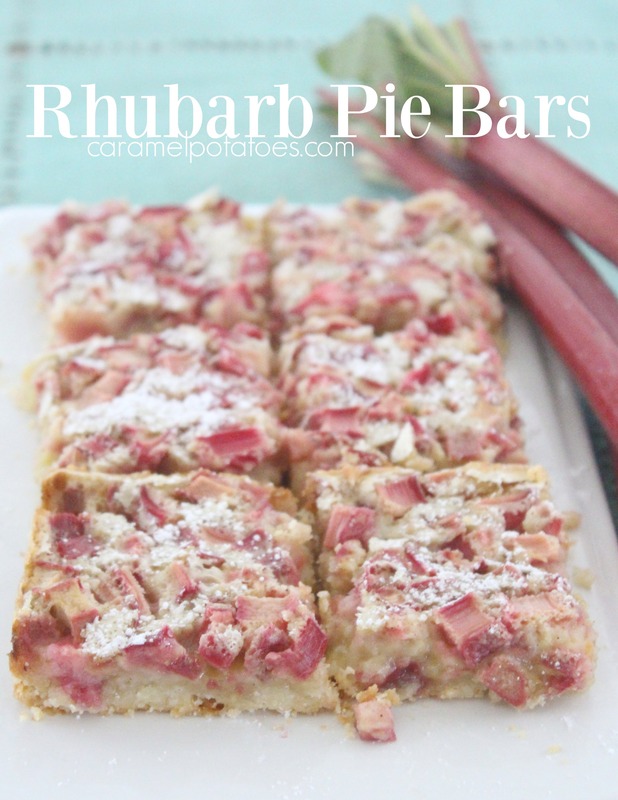 I’d love to know your favorite Rhubarb recipe. Preheat oven to 350 degrees. In a medium bowl, combine the flour and powdered sugar. Using a pastry blender cut in butter until the mixture resembles coarse crumbs. Pat the crumbs into a well greased 9 x 13 in baking pan. Bake the crust 10-12 min or until lightly browned. While the crust is in the oven, mix together eggs, sugar, flour, salt, and nutmeg. Gently stir in the diced rhubarb. Pour the rhubarb mixture over the hot crust. Return bars to the hot oven. 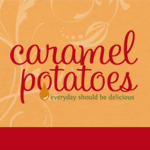 Reduce oven temperature to 325 degrees and bake for 40-45 min or until the filling is set.